Thanks for this great font! billy argle has AMAAAAAZZIIIINNNGG fonts! billy argle has IMMMMENSEE fonts. no lie. I don't like it its TOO posh!! getting a tat usin' this font!! Or Classic and Dirty...trying to decide 'tween the 2...thanks Billy!!! 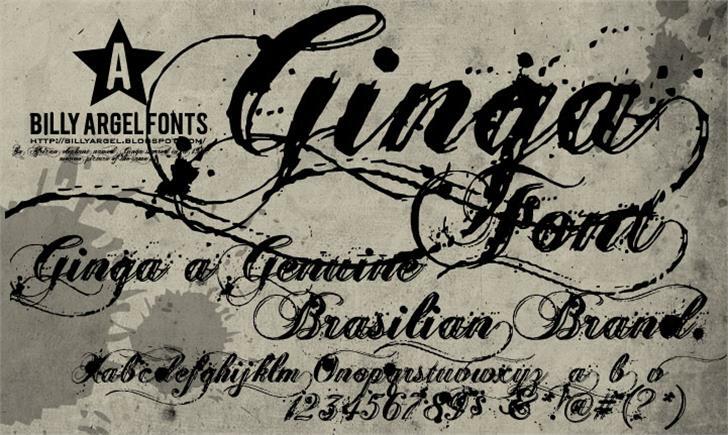 Great design for this font ! Billy, you are the best! Ginga> is a trademark of Billy Argel .